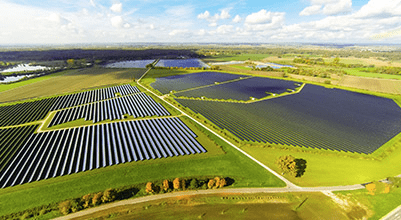 The up-to 100MW and $175m Susan River Solar Farm located between Hervey Bay and Maryborough in Queensland is commencing construction this month after being granted DA in 2016. The Susan River Solar Farm was granted DA (development approval) by the Fraser Coast Regional Council in December 2016 and is now commencing its construction, with roadworks already underway to ensure the infrastructure is set up correctly before building commences. The project is being developed by one of Australia’s biggest renewable energy developers – ESCO Pacific Pty Ltd. They currently have nine solar farms in various stages of completion – with three under construction (The Ross River Solar Farm, Childers Solar Farm, and Susan River Solar Farms) and six with planning secured. These six are in Rollingstone, Dino, Horsham, Koberinga, Moura, and Finley. “Choosing a location came down to the suitable size identification and proximity to the electrical grid, among other factors,” Mr Rademaker said. According to the Fraser Coast Chronicle, the project will occupy 176 hectares and will involve the installation of 350,000 PV solar panels. Fraser Coast infrastructure councillor Denis Chapman called it a “jewel in the crown” of the Fraser Coast. The project doesn’t have a PPA (Purchase Power Agreement) signed yet, which means the farm will sell its output on the spot market once launched (unless they sign one first!). The utility scale renewable energy project is expected to finish completion next year. Solar Backpackers – Solar jobs not going to locals?